Robert Turner was born in Little Lever on 20 December 1896. He was the son of Robert and Sarah Turner. His Father, Robert Turner Snr, was a miner and later a joiner’s labourer. 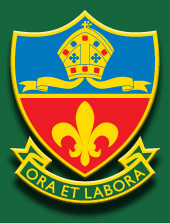 Robert attended St Matthew’s Primary School, Little Lever. He was at Bolton Church Institute in Forms IVB to Upper V from 14 September 1909 to 29 July 1914. In 1914 he obtained 3rd Class Honours in Oxford Senior examinations. He became a Bursar in the School on 1 September 1913 and a Student Teacher on 1 September 1914. Some of his student teacher training was spent at Wolfenden Street Council School in Halliwell. Robert attested at Farnworth 7th December 1915, aged 18. He enlisted in March 1916 as Private 23292 in B Company of the 1st Battalion Loyal North Lancashire Regiment and embarked for France 1st December 1916. His pay was 5 shillings per week. His Pay Book shows that he was on leave to England from 18 Dec 1917 to 1 Jan 1918. He may have been involved in the Second Battle of Passchendaele 1917, the Battle of Bethune 1918, the Battle of Drocourt-Queant 2 - 3 September 1918 and the Battle of Epehy 18 September 1918. Robert was probably wounded during the Battle of Epehy, part of the Allied offensive in the Somme area in the second half of 1918, which pushed the German army back beyond the Hindenburg Line and ultimately led to victory and the Armistice. He died at a Casualty Clearing Station at Brie and was buried there. Robert’s mother Sarah became seriously ill while he was in France. He asked his Commanding Officer for leave to visit her before she died, but his request was refused. His farewell letter to her on June 18 1917 is preserved. The letter and other personal effects have been donated to the School's archives by Robert's great-niece, Joan Phillips, herself an Old Sladian. I received our Emily’s very welcome letter last night but of course the news it contained was very sad indeed. Now that the Commanding Officer has written to Mr. Pugh it seems to put an end to all hope of me ever seeing my dear Mother again in this world. I can’t help but voice my feelings in this letter for I think that it is a most inhuman thing for a lad not to be able to see his best friend in all the world before she passes away whether he be in the Army or not. Never mind Mother dear there is a power greater than all the Army Authorities and His Will be done. We must still hope & trust in Him who is able to do all things. Although we are not able to see his divine purpose in all these things, why persons should suffer so much, we must leave it entirely in His hands for it is far beyond our understanding. If we are not able to meet, Mother dear, on this earth we shall meet in heaven and I realize to my sorrow that I shall lose my very best friend I have ever had, but still you are returning Mother dear to your Maker. I am upset more than I can explain at not being able to see you Mother dear so it is no use trying. I know that I have your blessing for my future and I will do my very best, God being my helper, to follow your good and holy example in everything I do. And now about the home. I know our Emily will do the thing which is best and I leave it to those at home, of course including Jim, to see things right and I know I shan’t have to worry on that score. I am glad to hear that our Jane’s are still in the pink and I know how she will feel for she is placed in similar circumstances to me isn’t she. Other reasons of course prevent her coming home but if we are not at home in person our thoughts are no where else for it is the most important place in all the world. Our John I know won’t give it up for there are other people in England who can still have a say in the matter about getting me home. Well Jim lad I am very glad indeed that they have sent you back again and I hope it will be for good this time for it makes a fellow so unsettled when he keeps being called upon. I feel very sorry for Mrs Watson with Harold having gone now and they don’t dally much with fellows at Felixstowe if that is where he has gone to. Give her my love and also Mrs Leyland etc. I don’t seem to get a chance to write to her at all. I will make a special effort though for I have promised so often and have not fulfilled it. I am not in the fighting and I haven’t been so there is no need to worry on that point. We have been very lucky to keep out of it so far and I hope we shall continue to have the luck for it is no fun. Yesterday I paid a visit to the nearest village, or rather town which is not such a bad place. They have about a couple of cars running through the place. I could have obtained some P.C’s but it wasn’t much use as I should have had to cross out the name of the place. Miss Sutcliffe has written to me and she hopes that Mother is better and wishes to be remembered to all at home. Has Miss Crozier never been to see Mother yet. I haven’t heard from her lately and I have written two letters to her and obtained no reply, but she has lost her dear Mother so that is a big excuse. I am glad that you received the money all right Emily. I could spare it then for I had it for pay for one week but of course I am not flushed. It was for a present I sent it so that’s enough. Signaller ROBERT TURNER L.N.L. Regiment, died in a casualty clearing station on Sept 19th. 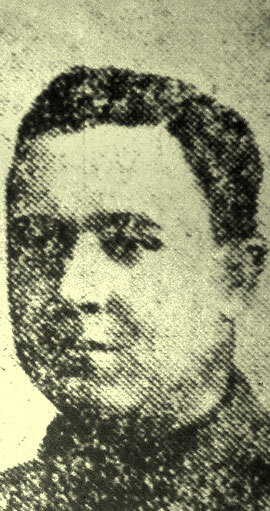 He was 21 years of age and enlisted in March 1916, going abroad eight months later. Formerly a student teacher at Wolfenden-st Council School, he is on the Roll of Honour at St James’s New Bury and at St Matthew’s Little Lever. His sisters live at Settle-st., Little Lever.